Bollywood film 'Sthree' has become a surprising hit this year by collecting a gross of 150 Crores. It's now being remade in Tollywood. The original version directed by Amar Kaushik, had Raj Kumar Rao and Shraddha Kapoor as leads. Telugu filmmakers Raj and DK made the movie. A Telugu producer has bought the rights of Sthree, and the makers are looking for the heroine in the film. Mega actress Niharika Konidela and Samantha are being considered for Shraddha Kapoor role in the movie, and we need to see which of these heroines will bag the role. 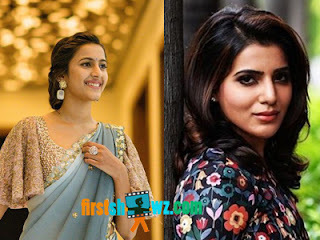 While Niharika is still struggling to score a hit, Samantha on the other hand has bid adieu to glamorous roles, and trying out roles that has got more prominence in the film. She has gained good reviews with her film in U Turn. More details of Sthree remake are awaited.